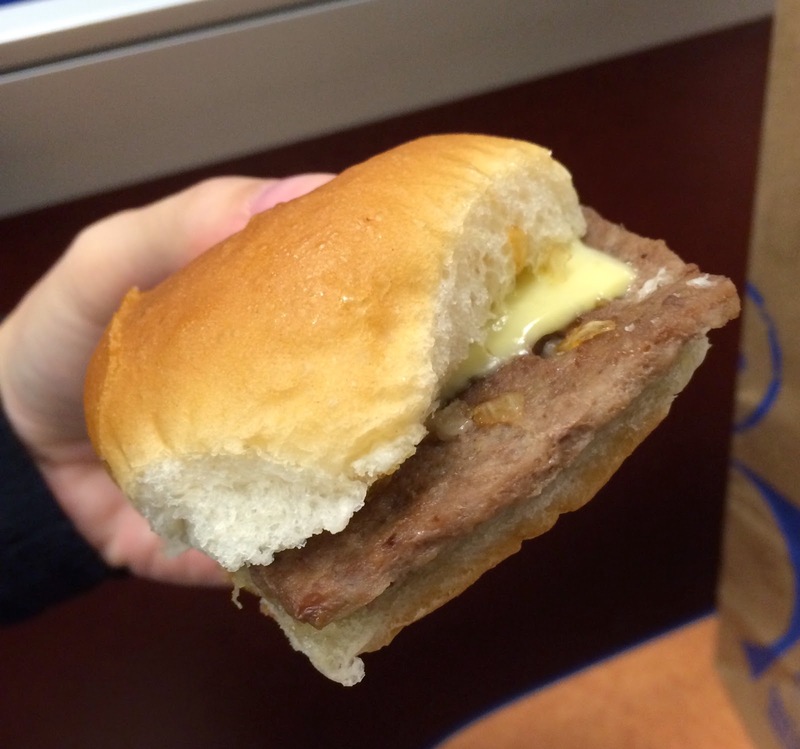 It's my first time to try items from White Castle expect White Castle The Original Slider Microwavable Hamburger. We bought a bunch of foods there and I'll review one by one. 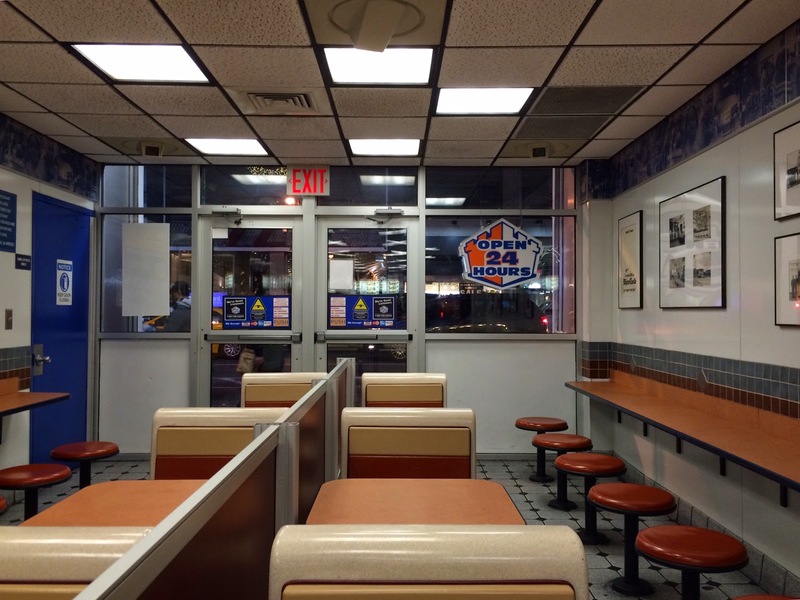 White Castle was founded in 1921 in Kansas as a fast food chain, and they're known for a square patty hamburgers called "sliders" as they're small. Till 1940s, it's sold for 5 cents. The way they prepare the burgers is very interesting, but unfortunately, the branch we went to didn't let me take photos. 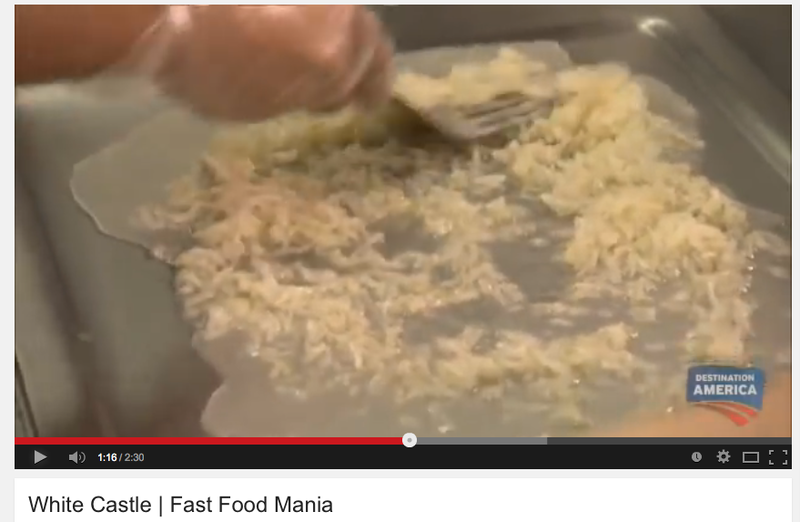 However, I found a video that explains how they cook it. First, they sautee onions on a grilled with oil. 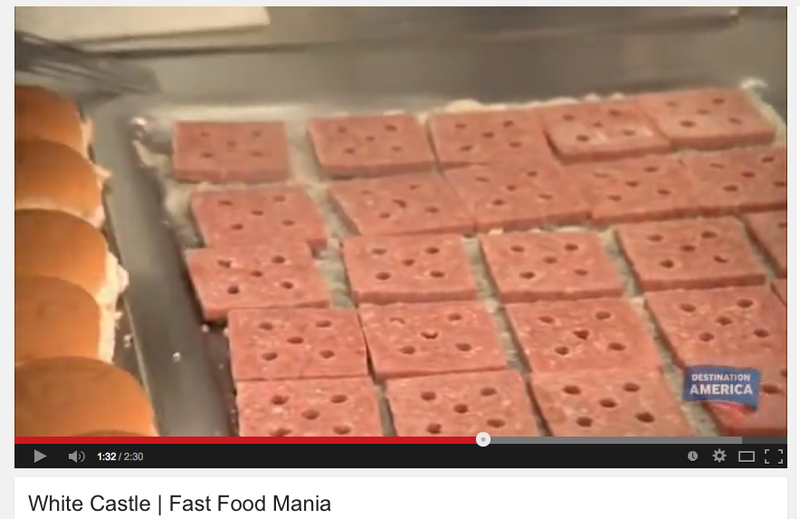 Next, they place square beef 100% patties over the bed of onions. Each patty has 5 holes which let the meat cook fast and even. 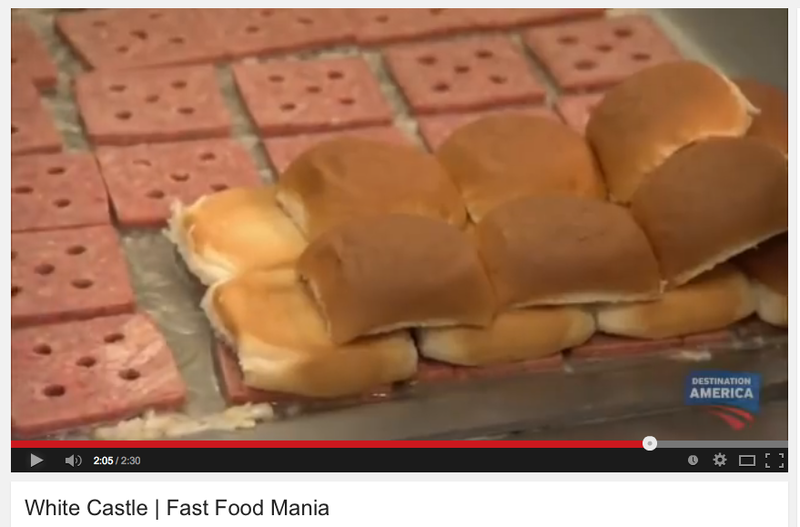 Then, they cover the patties with bottom side of the hamburger buns. 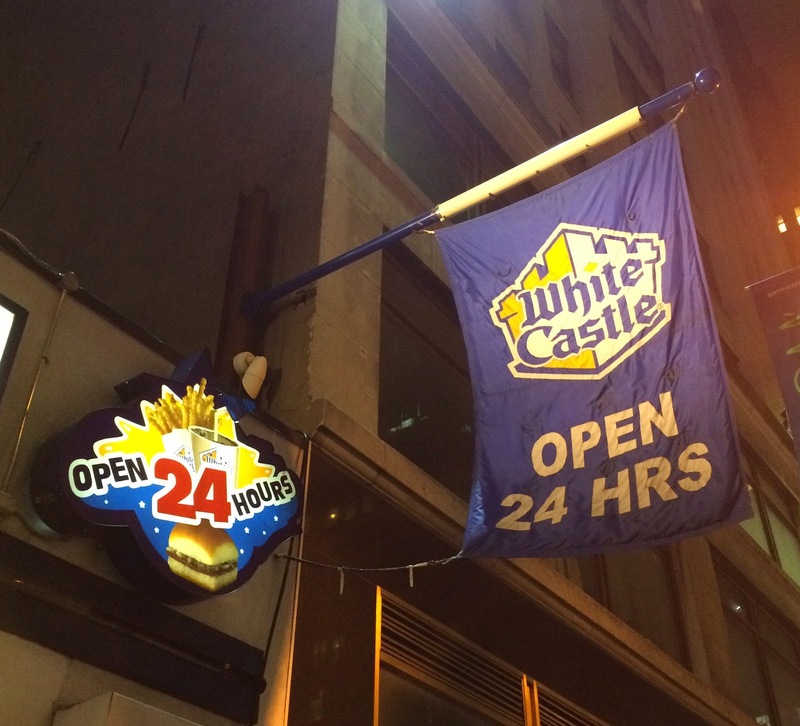 This way, the moisture is kept and they don't have to flip the beet patty. 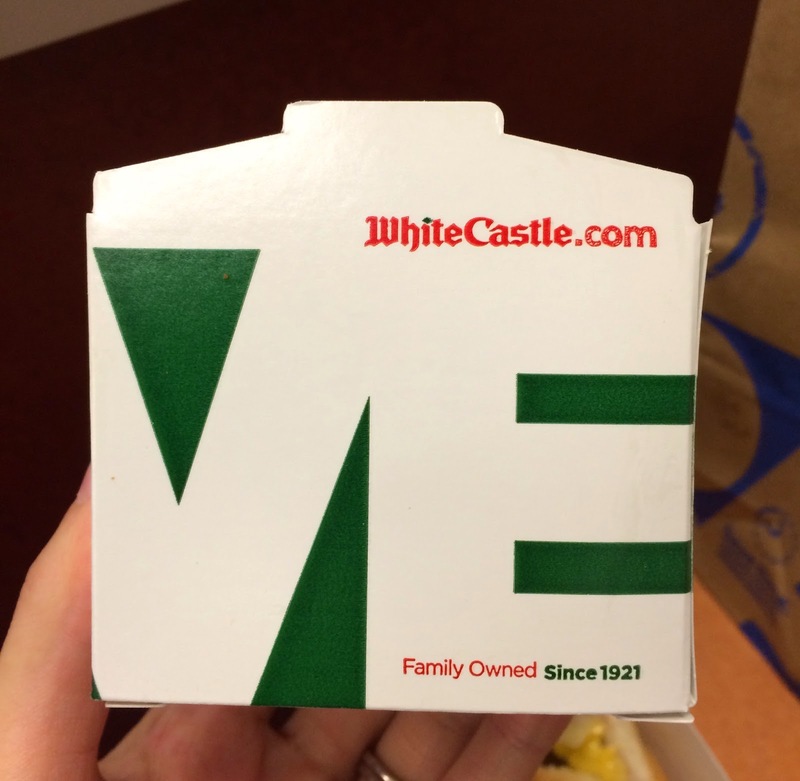 The upper part of the buns were put over the bottom buns. First one is "Jalapeño Cheese Slider." It's stored in a small box of green color. 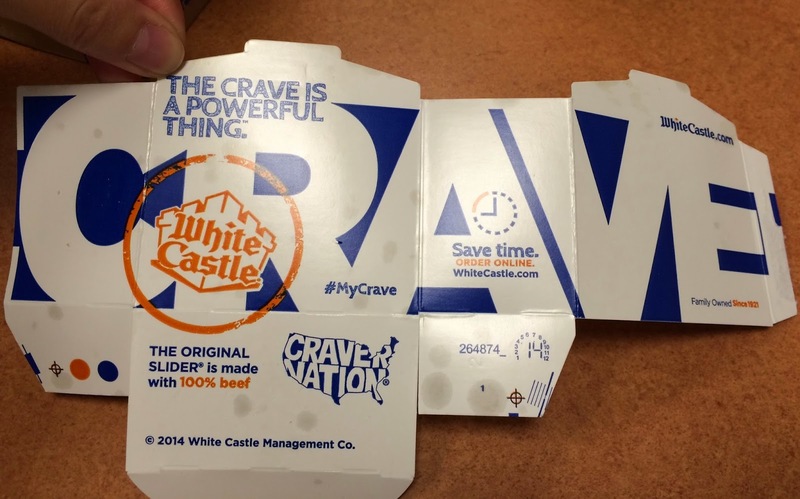 The package had "CRAVE," which is their slogan, over the box. It's very small and it's not reach 10cm (4 inch). I saw a thin square beef patty with a slice of cheese that has jalapeño. 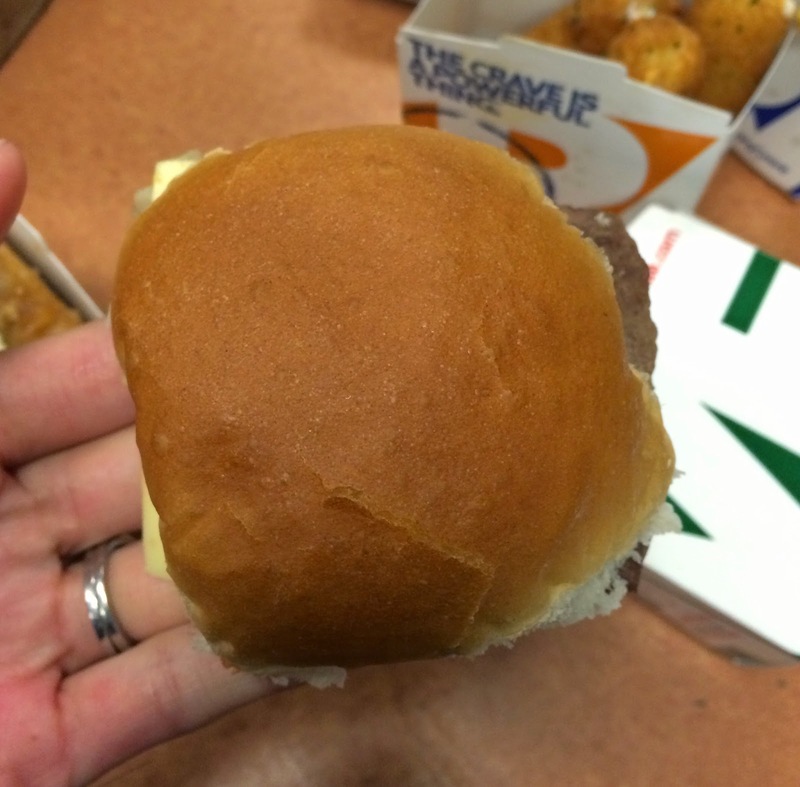 The bottom bun which was touching the beef patty was absorbing beef juice and steam, and the bun was soggy and wet, not slightly moist. 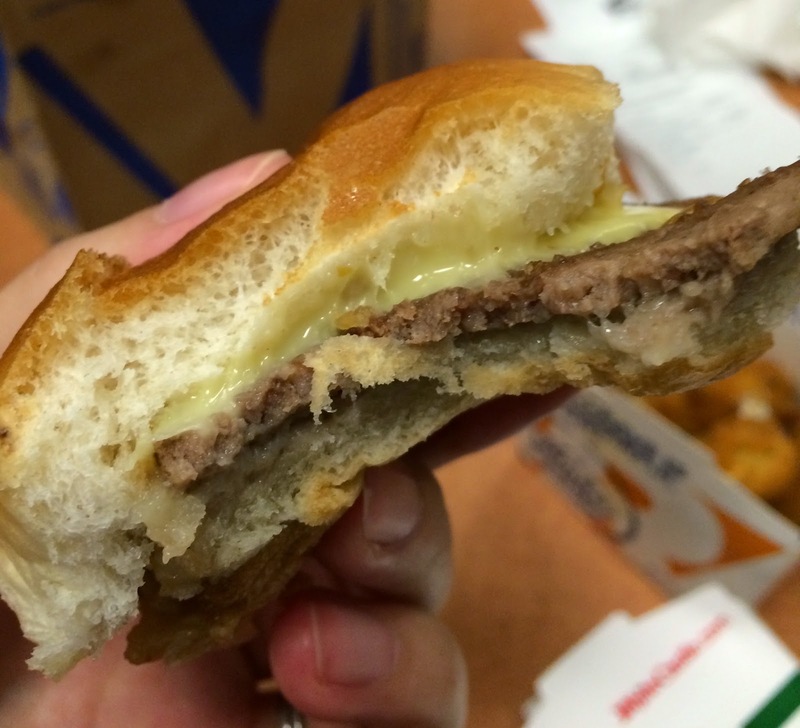 The upper bun was only touching the slice of cheese, so it's soft and not stale. Jalapeño in the cheese was very little and not spicy at all and I could only feel subtle heat. With sour ketchup, soft and wet bread besides beef patty, the jalapeño was weakened I think. Sauteed onions were adding some sweetness but they're full cooked so that no much texture was left. Over all, it's quite good.